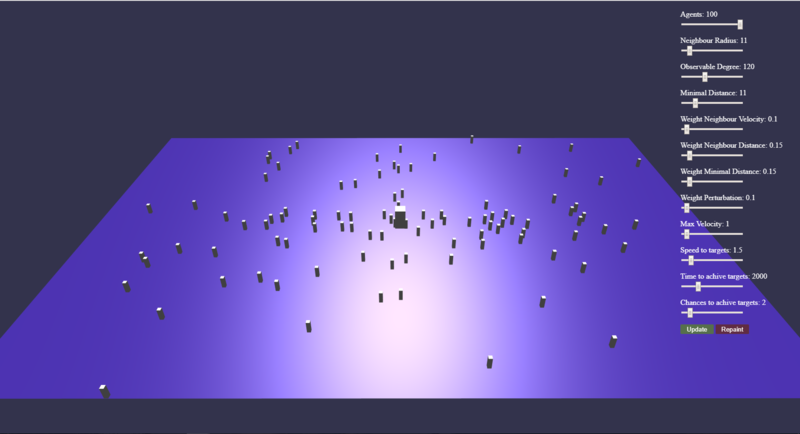 Hi, I'm building a crowd simulation (using Aggregate Dynamics for Dense Crowd Simulation, if it meters) and as for now I have 100 moving agents and one target in the middle. What I'm trying to do is to create a heatmap so I can see and analyze which paths are the most common for them to use, any ideas how to do it with Babylon? I'm quite new to it, this is my first project using Babylon, maybe there are some build in tools for that purposes? Tried to google it but no success. Thanks for any kind of advice! Hi maksmaks... welcome to the old forum. Could you please re-post in the Questions category of the new forum? In 3-4 days, we cannot post here anymore (but we can still read old posts). Thanks! Perhaps you can use particle emitters on each agent... to leave "trails", but I'm not sure if that would be useful/wise. Cya at the new forum, where we have more helpers.